In the mood for a glass of cider? Make those lazy weekends brighter by enjoying a glass of cider. Here, we bring you the most excellent deals on your favourite sparkling, sweet or dry ciders. Browse for special offers and promotions as shared by our team of deal hunters. 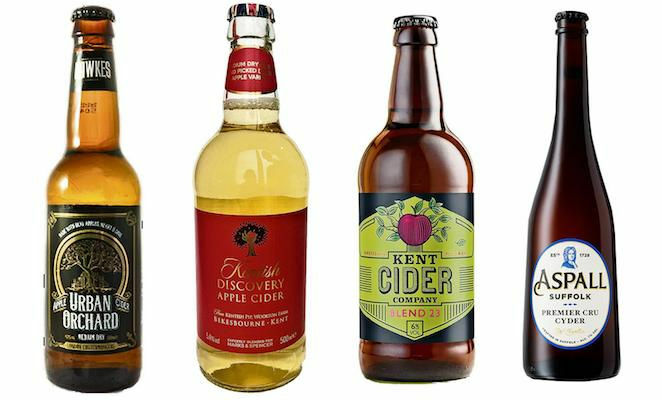 Shop for quality yet cheap ciders from Tesco, Morrisons, B&M, ASDA, Aldi, Home Bargains, Amazon and Sainsbury's. 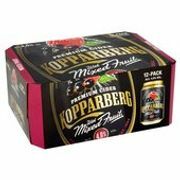 You can shop among top brands such as Thatchers Cider, Kopparberg, Strongbow, Westons, Magners and Victor's Drinks. Check out for rollbacks, voucher codes, any 3 offers and even get these delivered free. MVF Apple Cider Vinegar - 5L. Apple Cider Vinegar for Only £2.99! Offer Only Available to 10 People per Day! Looking for cheap cider brands and top cider brands in the UK? Get some serious money off on your favourite cider with voucher and discount codes you can find at Latest Deals! From apple cider vinegar, Smirnoff cider, pear cider, cider kegs, and many other products made of cider - you will not have a hard time finding the best product for you. Depending upon your needs, you will surely find one that suits your taste and preference. Do not get overwhelmed with the selections available. Our team of money-saving experts have provided with you essential information about this drink. In addition, you can still get what you want without burning a hole in your wallet. Shopping for cider should be easy. Where Can I Find Cheap Cider Deals? Search for affordable cider brands so that you do not have to compromise your budget. From cider vinegar, tablets, capsules and others - we will provide you the best deals that will provide you with fantastic savings. To start, check on Tesco cider and cheap cider brands to get what you are looking for. Enjoy sales, deals, special offers, price drops, and freebies which are exclusive for Latest Deals members. Our community of bargain hunters are always posting the most exciting verified deals and offers for best supermarket cider. We never fail to feature the most reliable discount codes, voucher codes, and special offers from your trusted retailers including Aldi, B&M, Dunelm, Tesco, Waitrose & more. Amazon - Live healthy and include an apple cider vinegar in your kitchen right now from Amazon. Most of its authentic wine vinegars would surely make your cooking even more delicious. Visit Amazon today and take advanatge of its 20% off on essential brands. Amazon Prime members can also get free delivery and exclusive discounts. ASDA - When it comes to cider and beers, ASDA is the leading retailer. Visit their online shop where you can mix and match select brands. Take advantage of this limited offer and get some money off on the side. 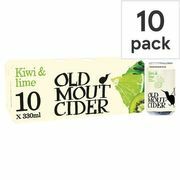 Morrisons - If you are looking for fruit cider bottles from top brands and you want to save from your purchase all at the same time, Morrisons got you covered. With its price reductions, you can buy 3 bottles for the price of two. Tesco - Buying Kopparberg cider, Westons Henry Vintage, and even raw apple cider vinegar have never been simple with Tesco. Go to this site and enjoy its promotional sales and discounts for these products where you can get any 3 for less than £6. It was not so long ago when cider started creating a fuss. It doesn’t matter whether you prefer the sparkling, sweet, dry French or English-style drop, there is surely one that fits your preference. If you are going to look at ciders, it is easy to say that it is the vinyl of the whole alcohol industry. This type of product does not disappoint in terms of appealing to beer, alcopop, and even wine drinkers. So before you jump into the bandwagon, or is it here for good - you are about to know, here are the different kinds of cider you must be aware of. Dry or sweet. This dry cider is attained through the formation of the juice until majority of its sugars are converted into alcohol already. Regardless, it is feasible to achieve sweet ciders by the addition of sugar syrups or even via pasteurisation, slow fermentation or ultrafiltration. With this, you can expect the product to be fruitier in flavour. French-style ciders. This typically undergoes an old process called keeving - which refers to the removal of the juice’s nutrients. Afterward, it will be followed by a slow and long process of fermentation which results to a clear, sweet and naturally-sparkling cider that is low in alcohol. Sparkling or still. If you prefer the traditional facets of ciders, and then they are still. However, the sparkling ciders are the most typical kind or type. Methode champenoise or bottle-conditioned ciders have experienced secondary fermentation that is why they create bubbles. English-style. It is about the feels of the English West Country cider which is obtained from the varieties of English cider apple. This kind is filled with tannis, which brings high level of bitterness and astringency to the cider. That is how it differs.